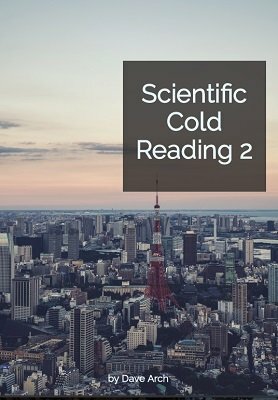 Second only to the model of personality traits Dave shared in his previous release of Scientific Cold Reading 1 , this video and its companion pdf document explains the proven concept that most consistently receives responses from his coaching clients of "You just described the relationship between my spouse and me!" or "How did you know that's how I relate to my children?". Imagining yourself in the role of a sitter coming to Dave for counsel, first watch the seven-minute video where Dave presents to you as though you were sitting in the room with him - drawing on the screen what he's seeing in his mind about you and those with whom you're seeking to build relationships. Then read the PDF document where Dave brings you additional information about this significant scientific insight about managing relational drama so you can add it as yet another substantial piece in your cold reading repertoire. 1st edition 2018, PDF 7 pages, video 7 min.